LONDON: Mixed martial arts star Conor McGregor says he wants a boxer to “come into his world”, insisting he would beat America’s Floyd Mayweather in a rematch, the BBC reported Wednesday. 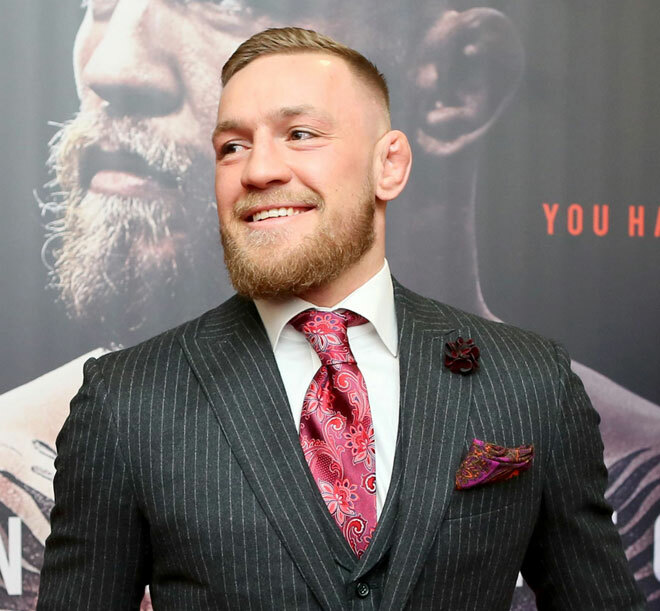 McGregor, speaking ahead of the Dublin premiere of “Conor McGregor: Notorious” – a documentary about the fighter – said his next fight would be to defend his Ultimate Fighting Championship (UFC) lightweight title. “Right now I am focused on my world, the world of true fighting,” he told the BBC. “Ideally I would like to take one of the boxers into an MMA bout – someone come into my world now. The match ended with a 10th-round stoppage as Mayweather ended his career with a perfect 50-0 record.But McGregor, nicknamed “The Notorious”, said he would beat the 40-year-old American in a rematch by changing his training regime. “He (Mayweather) was a tactical genius in there. He changed his gameplan three times and that is the sign of a true champion,” said McGregor. “If it happened in a rematch, it’s a simple adjustment of me having a heavier sparring partner coming in the later rounds, leaning on me and walking me down. “My sparring in the lead-up to the camp was always against fast-twitch, light-on-their-toes opponents. I was never against forward pressure because he (Mayweather) had never fought like that. That took us by surprise and I got beat.